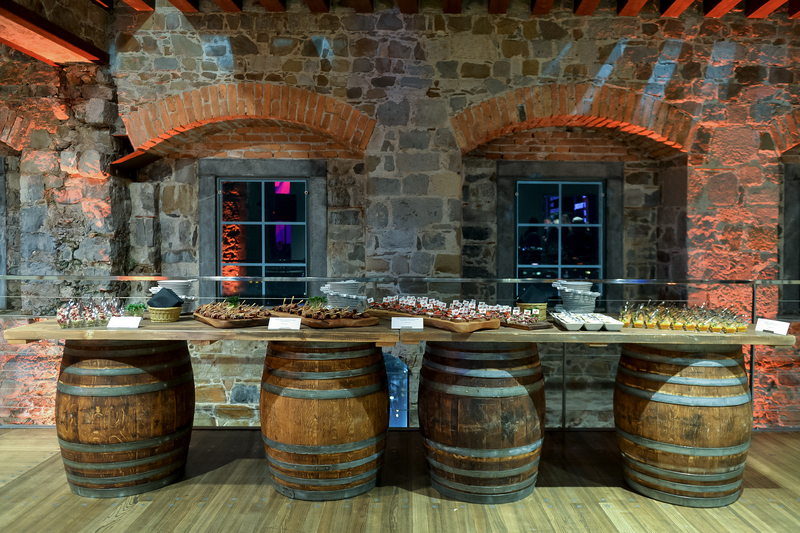 We prepare a ready-to-eat banquet for all types of business and private events. SuperCatering helps you choose different menus and our professional staff makes sure your event goes perfectly. Our valuable experience in the field of catering and service helps us serve a mini or maxi group of people and provide and unforgettable culinary experience. We brew the coffee, prepare a royal breakfast, a rich and diverse lunch or dinner and are also specialists in the preparation of snacks (finger food) and classic and unconventional desserts. We use interesting combinations of ingredients and do not copy recipes, but create them. That’s just who we are! We also cater for all types of business events (protocol meetings, business meetings, conferences, seminars, press conferences, birthdays, teambuilding events, New Year's Eve parties). We prepare food in our SUPER kitchen or take care of the food preparation and service at the location itself. We also provide full equipment. We prepare catering services according to the catering rider for all performing artists at a concert or theatre performance and also cater for fashion shows, festivals and other parties. We make sure you enjoy the event and do not have to deal with its development, while leaving the banquet to professionals. Catering is an important part of an event and with an appropriate choice of catering services you are sure to leave a good impression. At international events, a certain type of cuisine usually needs to get represented. We specialise in all types of cuisines, but we are very fond of preparing traditional Slovenian food. We have represented Slovenia and the Slovenian cuisine under the brand name “Taste of Ljubljana” in many countries, where we have introduced our little country as a diverse and culinary strong country. Check out our rich references because we have cooperated with many big companies and organizations, such as Telekom Slovenije, Erste Bank, Danone, Lidl, Porsche, etc. Fill in the inquiry below and we will be happy to make sure your day will be as desired.